All of our massage therapists are trained and experienced in many types of therapy, including deep tissue, Trigger Point Therapy, Swedish, Sports Massage, Prenatal Therapy, Shiatsu, Myofascial Release, Thai Massage, Reflexology, Craniosacral Therapy, Relaxation and Chair Massage. Rochelle Graduated from Blue Heron academy in October of 2017. Her favorite technique is therapeutic massage and stretching. Rochelle's main goal is to always deliver what the patient needs to succeed in the treatment plan. Before becoming a Massage Therapist, Rochelle worked for 10 years in the horticulture industry with a degree from MSU. Katie graduated from Everest in 2009. She practiced as a massage therapist in Texas for 3 years before moving back. Returning to Holland, Katie joined the LFC team in August 2018. She specializes in deep tissue, trigger points and headache relief. Marlene graduated from Baker College in 2017. 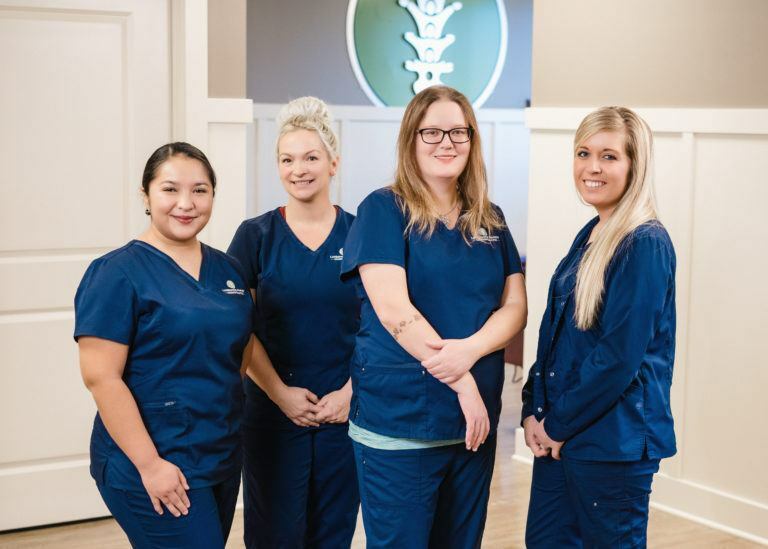 She joined Lakeshore Family Chiropractic's team in October of 2018. She specializes in relaxation massage.